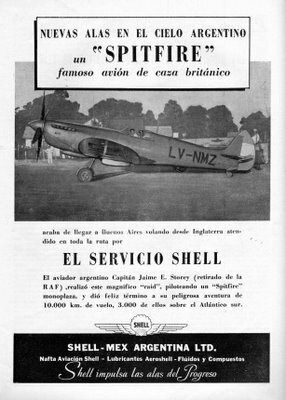 A 1947 Shell advertisement published in the magazine Aeronave, proudly showing Argentina’s sole Spitfire PR Mk. XI shortly after its direct flight over the Atlantic in the hands of Capitán Jaime Storey (in the cockpit). Acquired by a civilian operator for aerial mapping purposes, the Spitfire PR Mk. 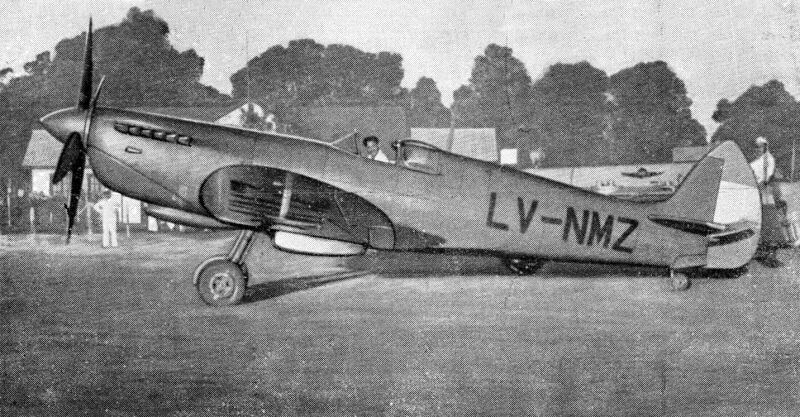 XI PL972 was purchased from Air Ministry surplus in 1947. 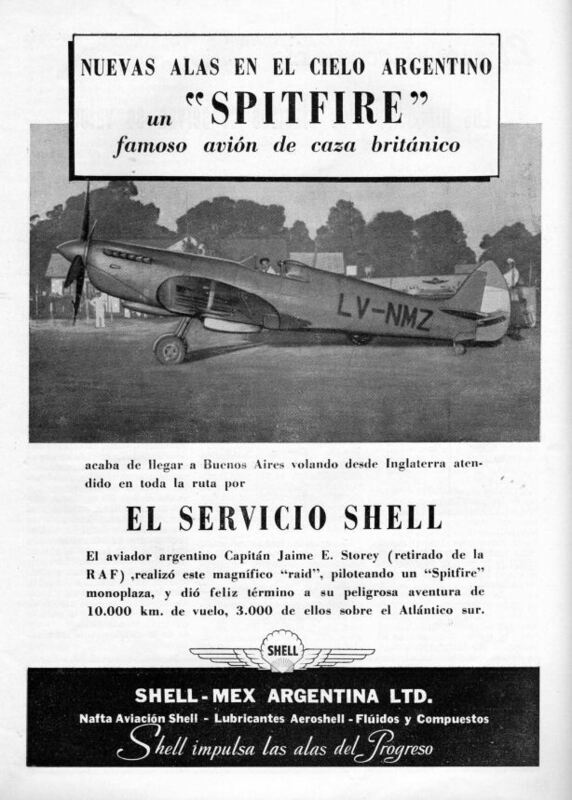 Argentinean ex-RAF PRU Spitfire pilot, Capitán Jaime (James) Storey brought the aircraft to the country, flying on 29 April 1947 from Hurn, England, via Gibraltar, Dakar, then over the Atlantic to Natal, Rio de Janeiro, Montevideo and then finally to Buenos Aires. With a 170-gallon slipper tank and two custom-built 20-gal tanks in the wing roots, the aircraft could carry over 400 gallons of fuel to an endurance of 10 hours, marginally more than 8,5 hours required for a direct Atlantic crossing. The flight was completed on May 5, 1947. Storey’s endeavour counts as the longest recorded Spitfire flight ever. As his aircraft lacked long-range navigation instruments, the passage of the ocean was made in the company of Avro York of British South American Airways (BSAA). The Shell oil company provided fuel, lubricants and service enroute. I remember as a boy being thrilled to hear that a relative had flown the Atlantic in a Spitfire. My father (Thomas Macintosh Storey) was born in the Argentine. I am now 76 years old and live in Greece. It would be good to establish proper contact. We are first cousins as Tommy and Jim were brothers. I’m living in England and am 20 years your junior. Is there a way to contact you outside this forum? susan,i was at ast perth 1968/9. was your dad head of ground school then? if so, please make contact via Email. I had a good run at airline flying thanks to ast and often wonder what happened to my tutors! best wishes, mike grundy. No, although the family has done some considerable travelling, my father never made it to Australia! Good to hear from you and glad you made contact.